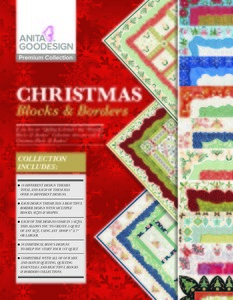 Christmas Blocks & Borders is our take on classic Christmas designs and features bold quilting stitches that look great alone or with a merged design. There are 10 different themes from poinsettias, holly, ornaments, Christmas trees and snowmen just to name a few. Each theme features a variety of shapes and borders and all of the designs can be combined together to make a beautifully unique quilt. 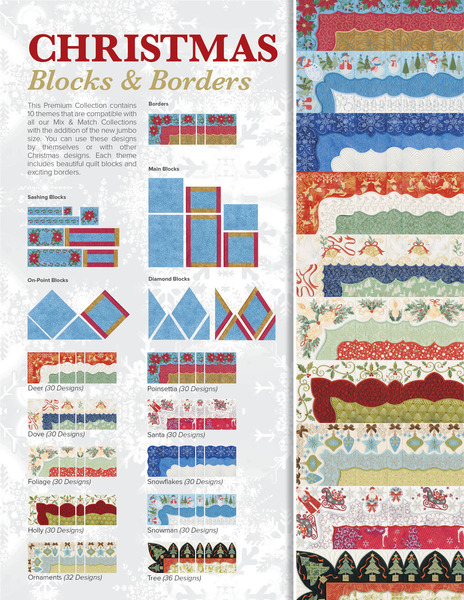 This collection not only features the central blocks to make your quilt but also includes all of the transitional and border blocks that allow you to totally complete your quilt.